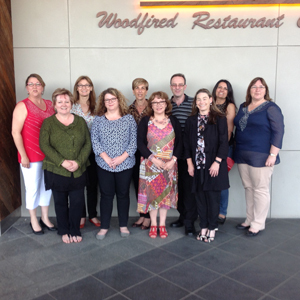 The Parents & Friends Association is a very important support group for MacKillop College. Meetings are open to and attended by interested parents/guardians, friends of the College, teachers and administrative staff as well as our Principal, Mr Rory Kennedy or one of his Deputy Principals. Everyone is welcome to come and meet other parents/guardians, to learn more about our wonderful College as well as participate and share in general discussion often relating to significant issues about school policies. As a major stakeholder in the MacKillop College Community we are a part of proactive discussions concerning the academic and social welfare of our students. We encourage any parent/guardian input directly related to the College’s welfare. The Association also has a member representation on the Mackillop School Board. The Assocation directly supports our sons and daughters through fund-raising and participation in the many school activities on offer. Examples of these are the College Open Days in February and November as we well as the MacCuppa Morning Tea for all parents/guardians on the first day of school. We also provide significant support for MacKillop Day in the form of donations from our fund-raising to cover the costs of various student activities such as rides and stalls and general support in the running of the day. The Association also provides five scholarships of $500 each, which are awarded to students chosen by the College at the Annual College Speech Night. These scholarships provide tremendous support and encouragement for our students. Our major fundraiser has been the Cadbury Chocolate Drive, raising around $60,000 over the last three years. The profits provide the College with funds for additional resources for our sons and daughter. In the past, this has included the purchase of a baby grand piano, full sets of sports uniforms, bench seating around the College, mountain bikes for the St. Mary’s Campus, the shade structure above the amphitheatre and other equipment as needed. Our meetings are held on the first Wednesday each month, except the school holidays, in the Sr. Giovanni Administration Building, commencing at 7.30pm. The meeting generally lasting for about an hour. Everyone is most welcome to attend. We would like to thank all Association members for their continued dedication throughout the years – your support has been fantastic!